This painting was one of the first works that Degas sold (in 1872) to Paul Durand-Ruel, the dealer who became the early champion of the Impressionists. It is not only a landscape but also a scene from everyday life and - most of all - a family portrait. 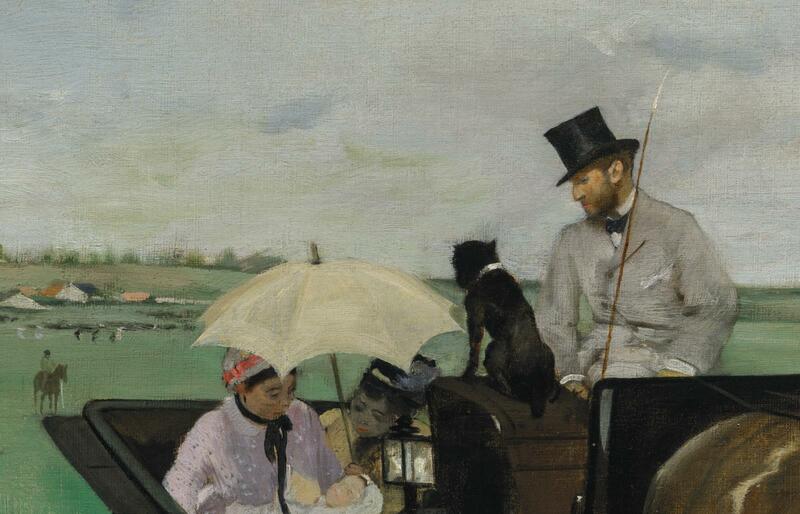 The driver of the carriage is Degas’s friend Paul Valpinçon, who is shown with his wife, a wet nurse, and in the nurse’s lap, the couple’s son, Henri. 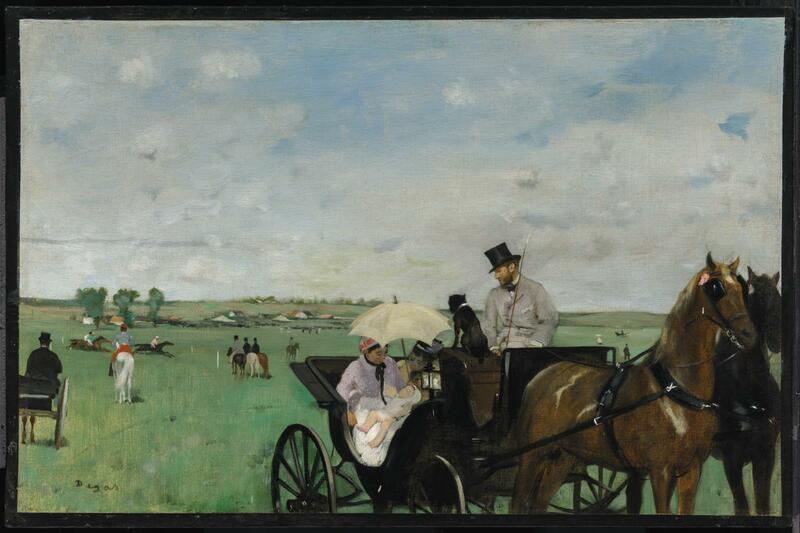 With its subtly ironic title - the races play a minor role in the composition - the painting was among the artist’s contributions to the first Impressionist exhibition in 1874. 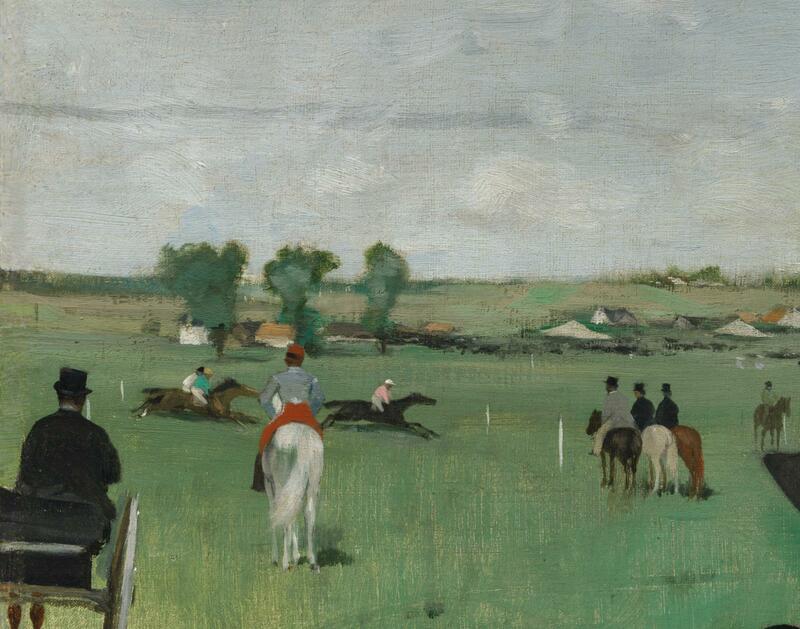 The provenance given here is taken from Jean Sutherland Boggs, "Degas at the Races" (exh. cat. National Gallery of Art, Washington, D.C., 1998), p. 248, cat. no. 38.